⇒ Don’t leave notes for the milkman/postman that you’re not home. Opportunist burglars can also read! We’re also answering home security questions throughout October, so please feel free to ask anything you’re not sure about, and we’ll be donating £2 for every service and £10 for every installation to Victim Support. 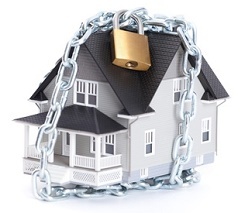 Next week’s theme is Lock it Up – how to get the best security from the locks on your house.